The fashion world is filled to the brim with technologies so complex, they make your head spin. But today’s fashionista, without even an ounce of programming skills, need only click a button to browse, price compare, and purchase garments from the comfort of their… closet. Advanced technologies have put the fashion world and its millions of consumers in the forefront of a fast-growing online industry aimed at satisfying buyers of any age, gender, size and budget. But what is it about this endless surge of innovation that has captivated the online consumer? And more importantly, how is the fashion design industry coping with the fading era of print magazines and in-store shopping? If everything and everyone is going online, can the industry keep pace with this craze… or will it eventually, go crazy? Here are five of the top industry trends that best support the insatiable fashionista’s appetite… for more. Everyone’s talking about Big Data and no less so in the fashion industry. In short, it’s exceptionally large amounts of data that can be analyzed and processed to reveal patterns, trends and associations, as they relate to human behavior and interactions. Data analysis is abundant in the industry, helping to zero in on purchasing, market trends, consumer likes/dislikes, enabling design houses to ultimately foresee the future long before it’s here. Today’s designers will soon be able to predict what consumers really want and fill storefronts, online and offline, with inventories that will eventually be made, yes, preprogrammed and designed, just for you. There is an app for everything. Everything you can imagine, and then some. In the fashion design industry, app development and app use is on the rise, giving consumers immediate choices, locations, price comparisons and the best deals in town (or across the globe). Today, there are apps galore for every fashionista to purchase that trendy new blouse or handbag, just by snapping a photo of it and letting the app track it down. Be it on a website, the high street or at the corner store, today’s apps hone in on those must-have-now items, making them available to every consumer, anywhere and at any time. 3D printing was once best compared to science fiction. Since 2010, it’s become the ‘rebirth’ of the fashion design industry. Today, 3D printing enables designers to produce designs that are complicated and seemingly impossible to manufacture. Designs are shown in real-life form on an avatar (a digital model) and changes can be made in an instant (or less). 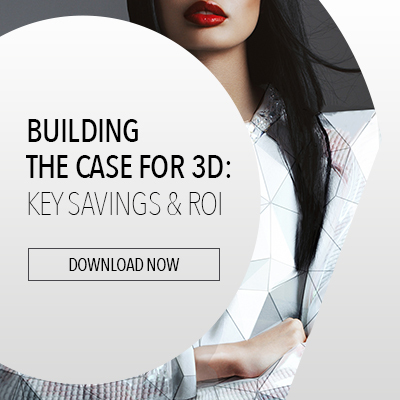 What’s more, 3D printing has taken to the runways, where models are draped in garments – fresh off the printer. But 3D printed clothing is no longer limited to use for display purposes or in fashion shows. We’ve entered a new world of innovative 3D printing. This means that you can have anything (anything!) your heart desires created for you – and a garment that you can actually wear. Designers, photographers, and even models are embracing online technology, collaborating on design projects in abundance – and the market is big and booming. The ability for fashion professionals to meet, interact, share information and get instant feedback from both peers and consumers, has fueled the design industry. What’s their secret? Social media. It’s brought every facet and every professional in the fashion industry closer than ever before, to enhance decision making, set new trends and be one step ahead of the game in real time – all the time. What’s the one brand of cookie that’s infinitely better than a chocolate cookie? It’s the Internet browser cookie, a small piece of data sent from a website and stored on your computer by your web browser while you’re browsing. In the fashion industry, personalized cookies are everywhere, working hard behind the scenes to focus your attention to what interests you most. The more often you browse, companies are strategically customizing ads, discounts and coupons to match the styles, colors and trends you like most. That’s right, your favorite fashion websites are watching you! They’re logging your cookies to see what you purchase, when and where. All this makes the online shopping experience ‘up close and very personal,’ knowing what you want, when you want it, and even, why. Today’s fashionista is no longer spending valuable time in the closet. She’s poised in front of her keyboard or on her mobile phone, searching, swiping, price comparing and ultimately, making the purchase of her dreams. Will this technology take the place of admiring a garment in a storefront window or trying it on in a fitting room? We dare to say that for the modern fashionista, it already has. Luckily, there are some of us old-fashioned types who still enjoy that end of the season sale at our local department store, as we line up at 4am, in the hope of returning home, albeit exhausted, with a great bargain that actually fits.